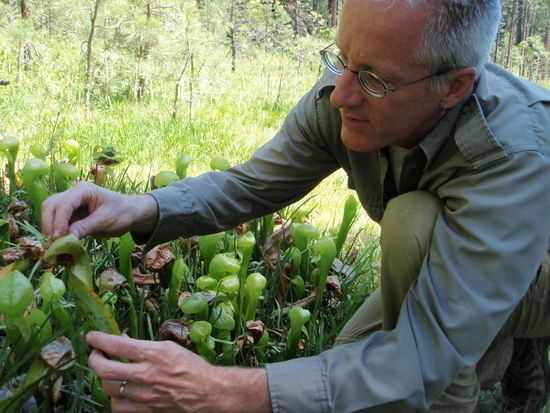 Carnivorous plants losing ground in the U.S.
Decades ago, lush stands of Darlingtonia californica — emerald plants coiled like fanged cobras ready to pounce — grew at this spot [Quincy, CA] in the northern reaches of the Sierra Nevada. [Barry] Rice, a botanist at UC Davis, is not the first to hunt the cobra lily here in Butterfly Valley. In 1875, amateur botanist Rebecca Austin fed the plants raw mutton and carefully observed how they digested it. Near the bottom of the crevice, the ground becomes moist. The air cools and softens. This is where the cobra lilies would be. “When you see them, they look almost like animals,” Rice says. 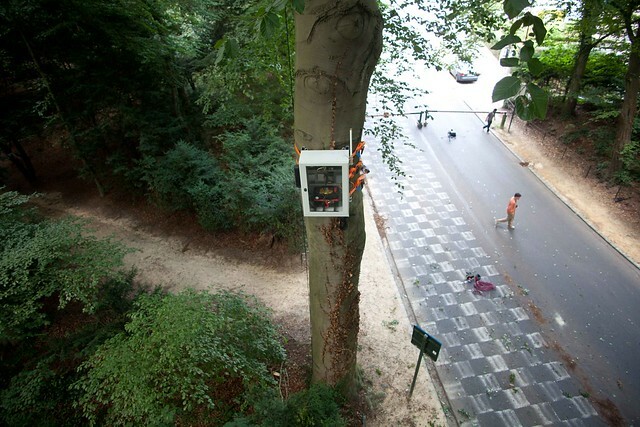 Plants have developed a sophisticated defense system. They can not only directly fend off herbivores by producing toxins, but also do so indirectly by emitting odorant molecules into the atmosphere that are perceived by predatory insects; these predators are lured to the attacked plant and feed on the herbivore or parasitize it – thereby providing a benefit for the plant. Scientists at the Max Planck Institute for Chemical Ecology have discovered that saliva from tobacco hornworm larvae (Manduca sexta) activates a substance in tobacco leaves, producing an odorous attractant. The attractant is picked up by carnivorous insects that feed on the hornworm larvae and eggs. "Desired traits such as volume, timbre and harmony are acquired through selective breeding techniques." 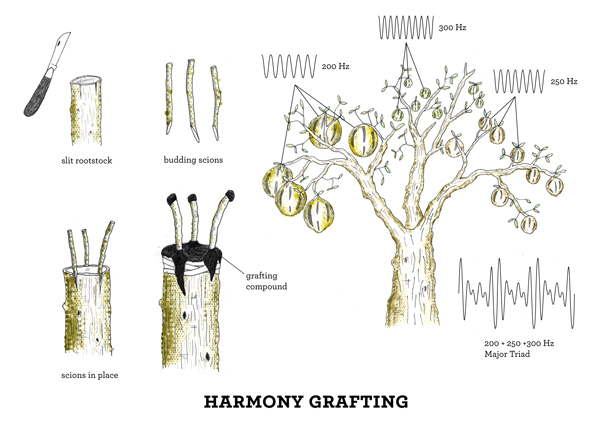 "Grafting, an age old practice (since at least 2000 BC. 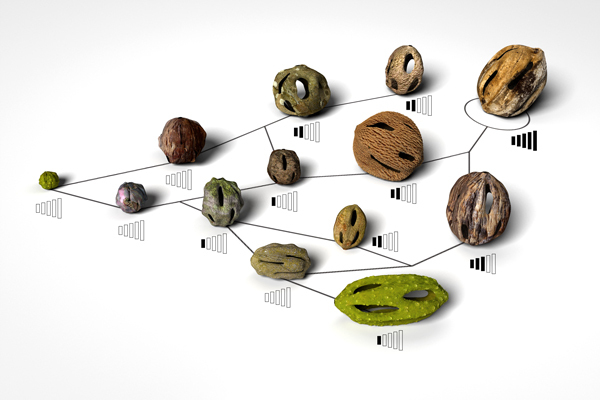 ), is used to create harmonic notes combinations on a single tree."